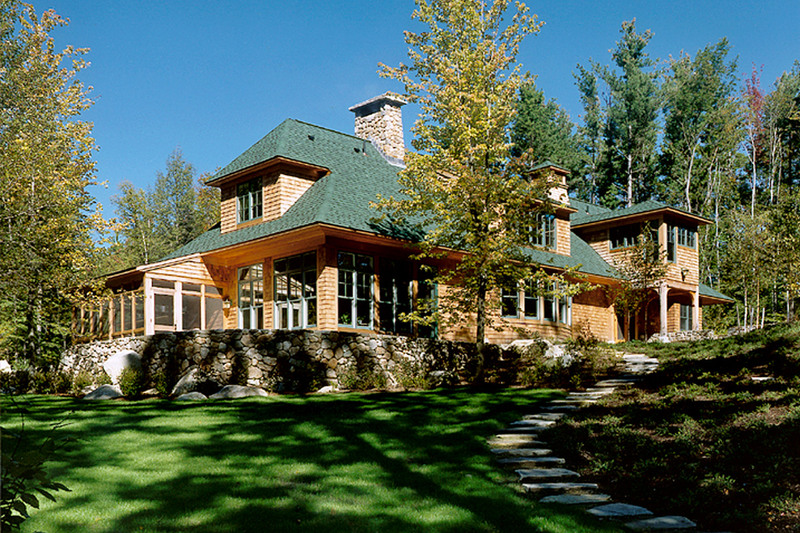 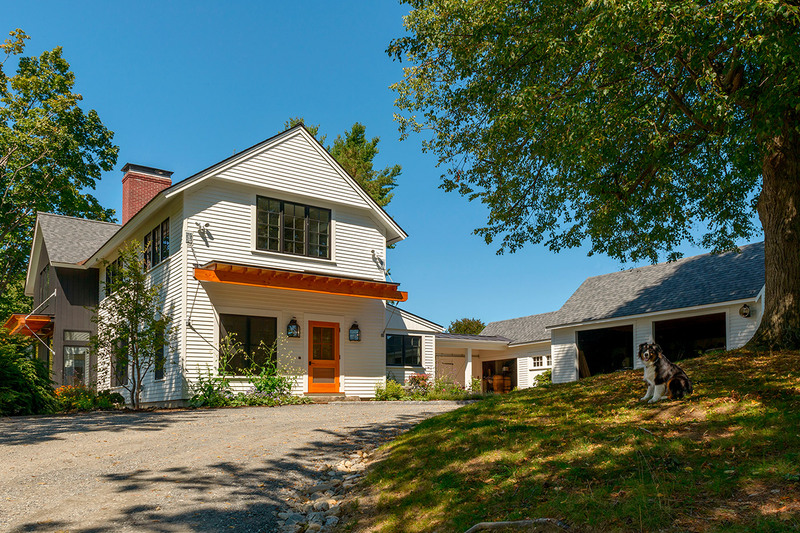 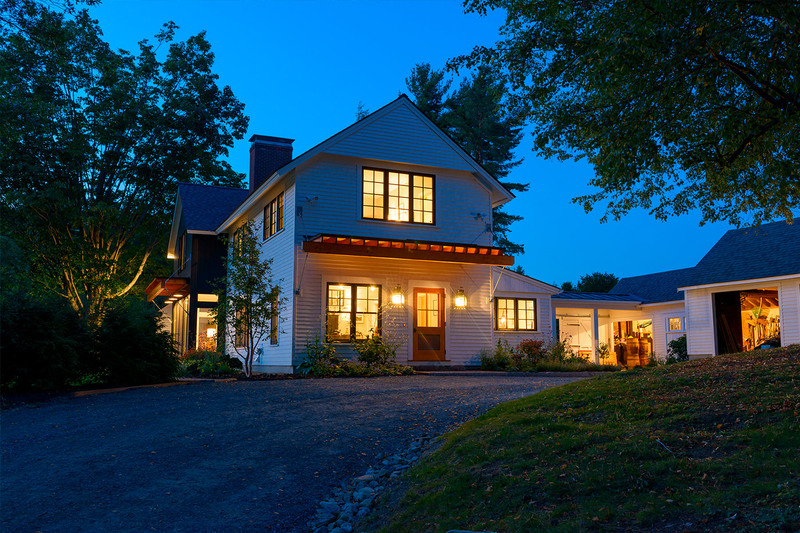 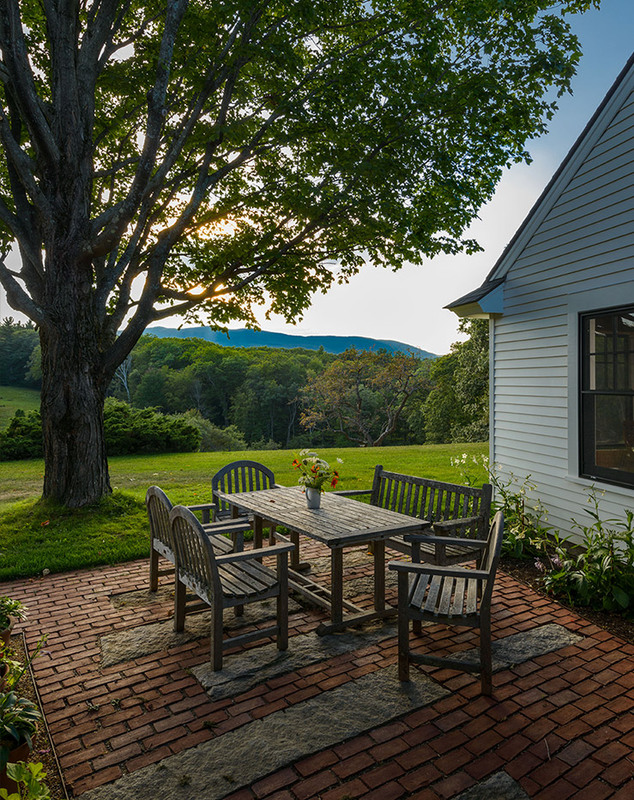 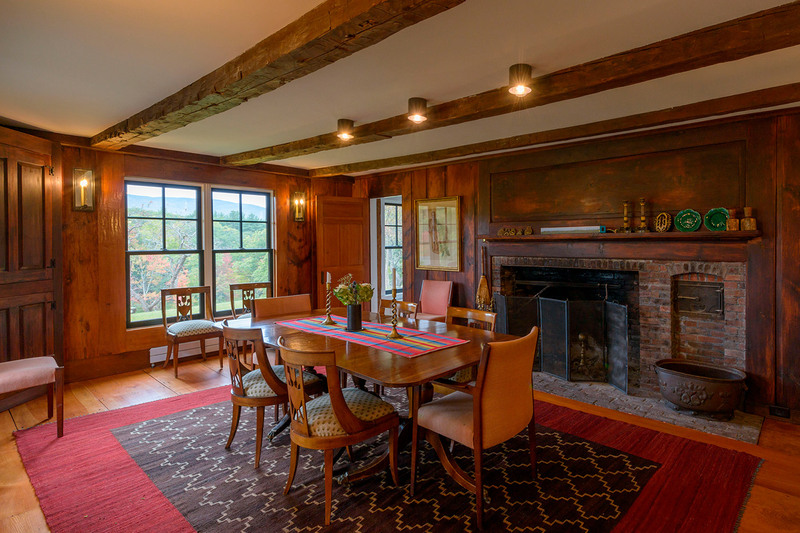 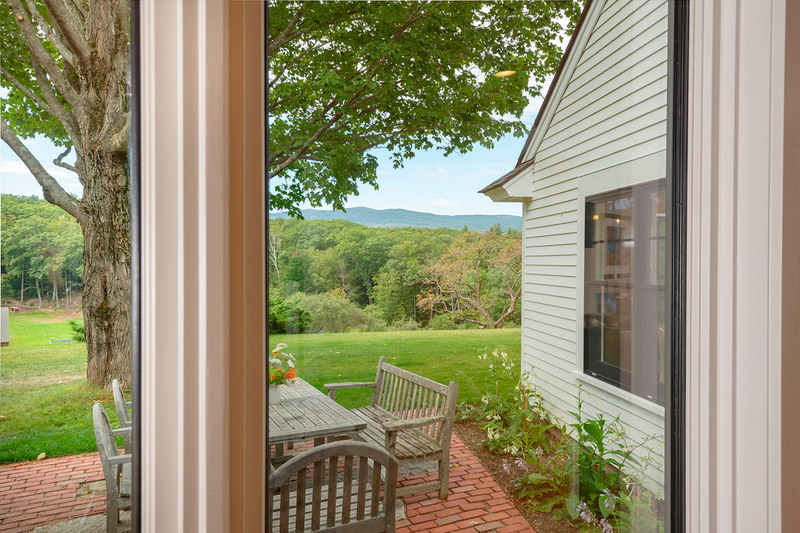 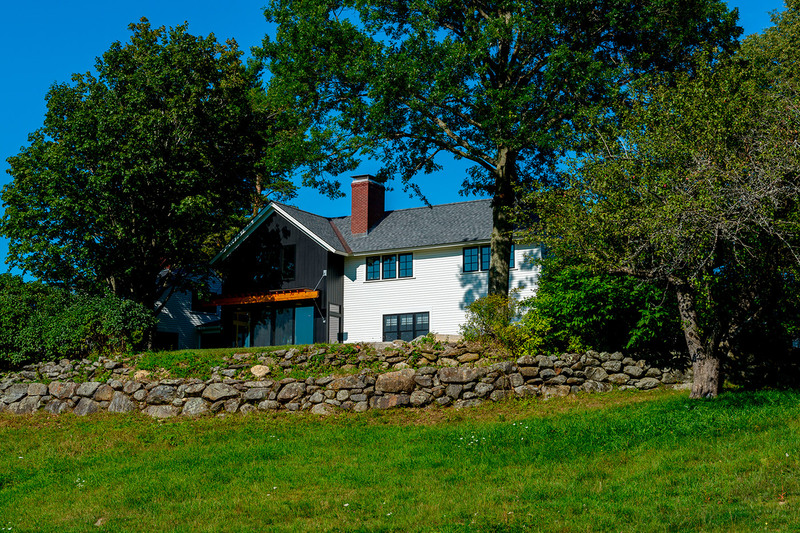 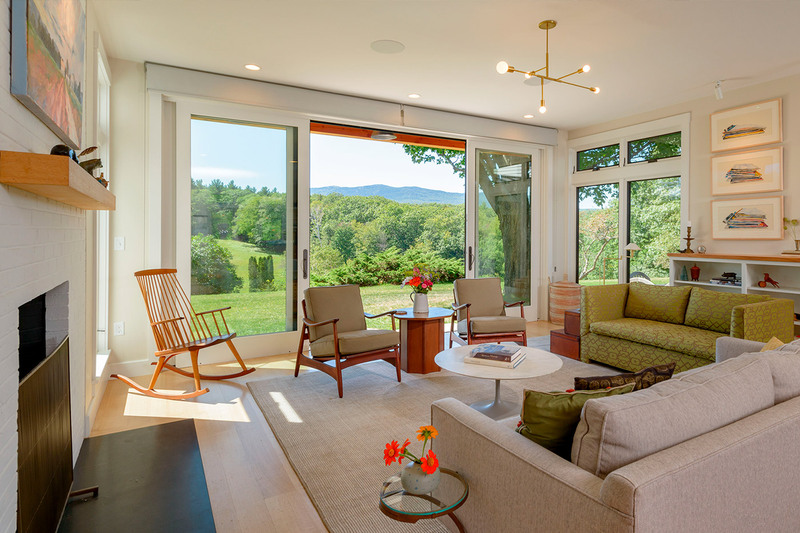 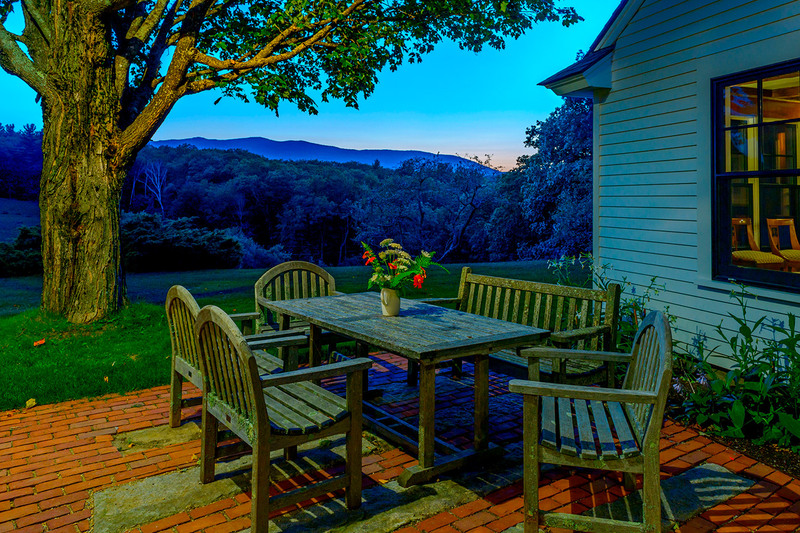 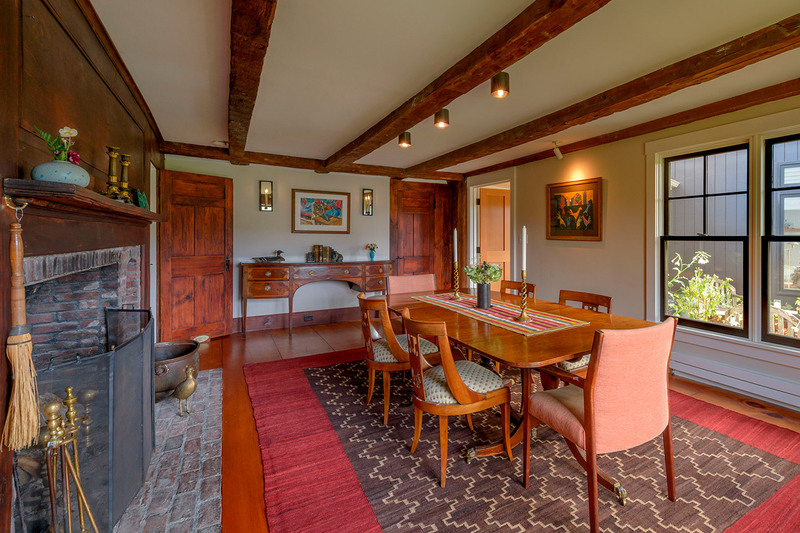 Originally constructed in 1815, and moved to the current site at a later date by horse, this house is nestled in the foothills of Mount Monadnock in Southwestern New Hampshire. 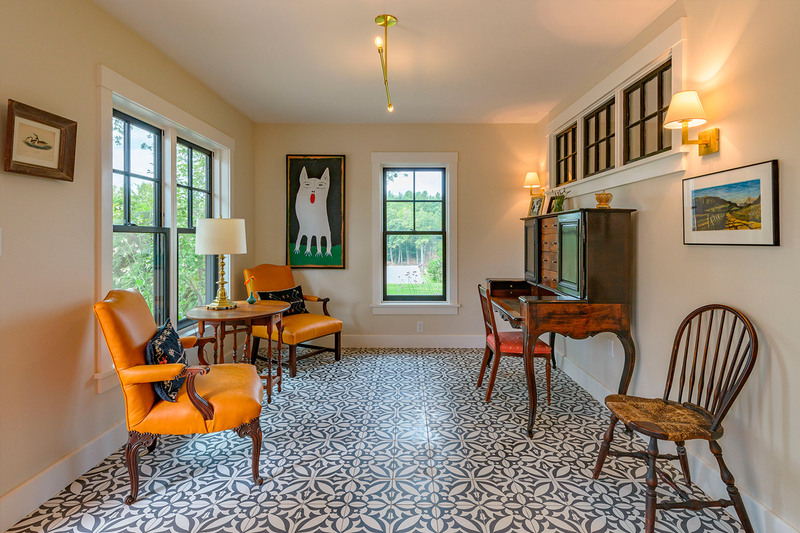 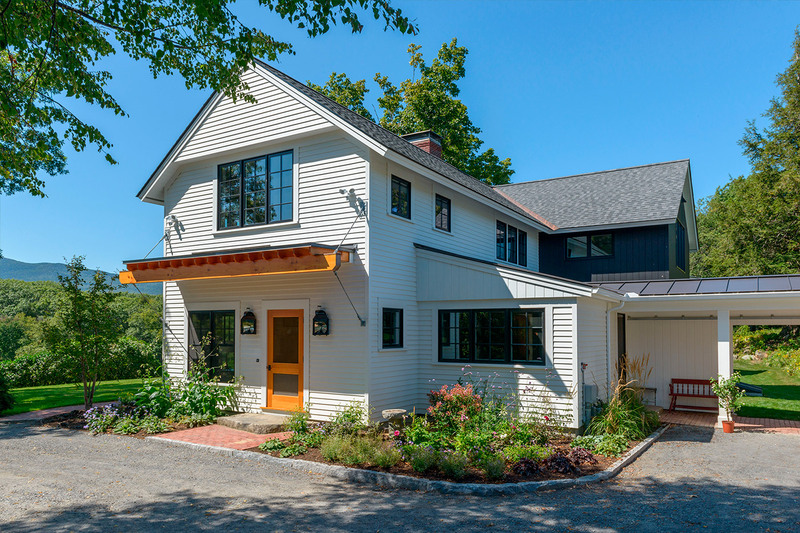 The project included a 3,093 square foot addition, as well as a renovation of the existing historic structure. 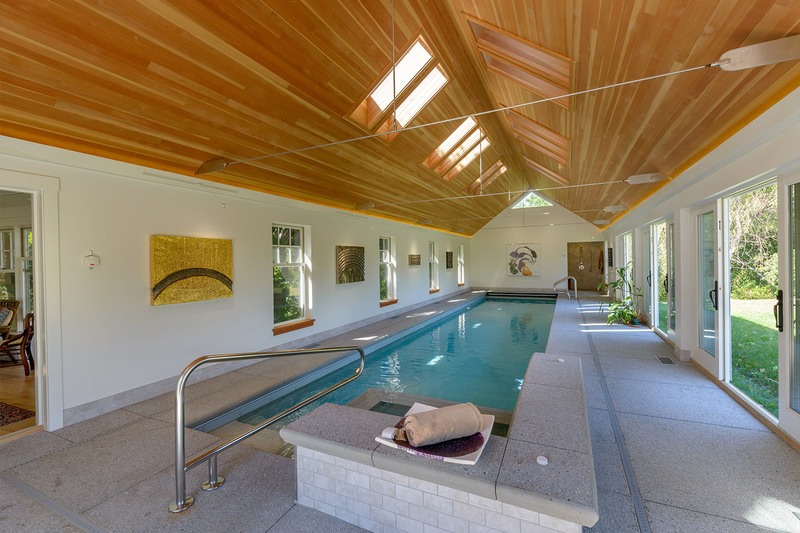 Working closely with the clients to preserve the original expression and layout of the building, while simultaneously updating the electrical and mechanical systems, required the creative expertise of the SPA design team. 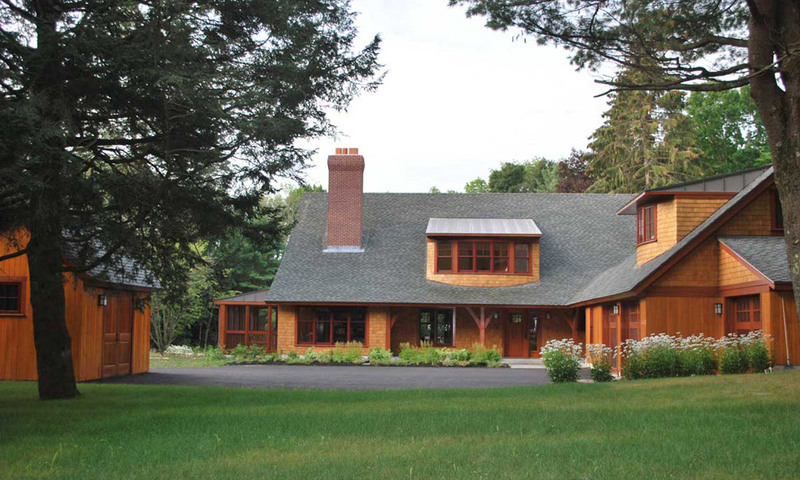 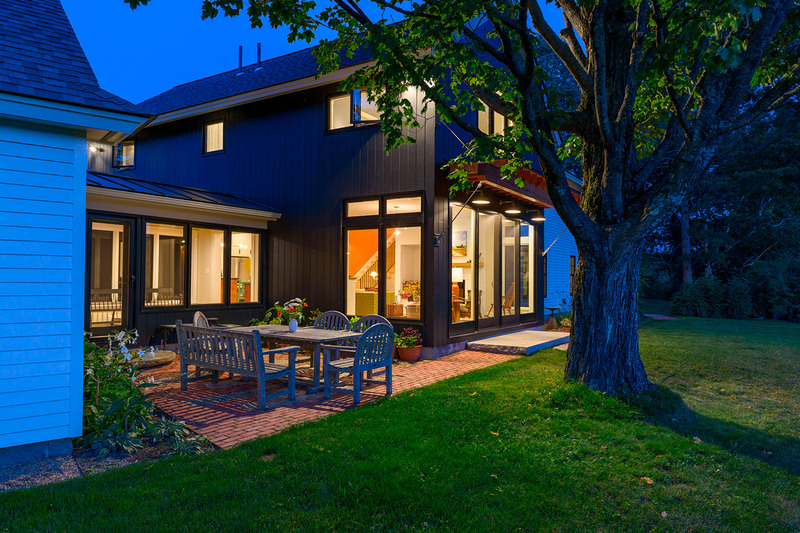 The house is heated by an efficient wood-pellet boiler and a ground mounted 10KW PV system. 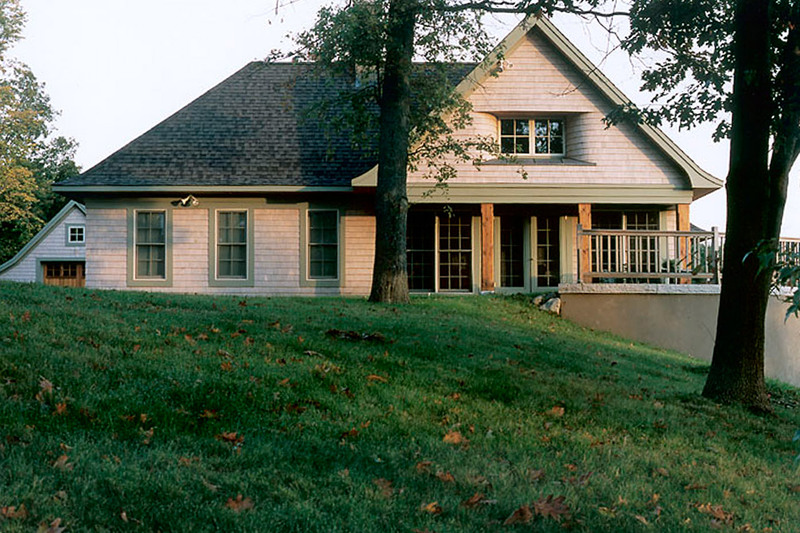 In addition, new windows and insulation were added to improve the original building’s energy performance. 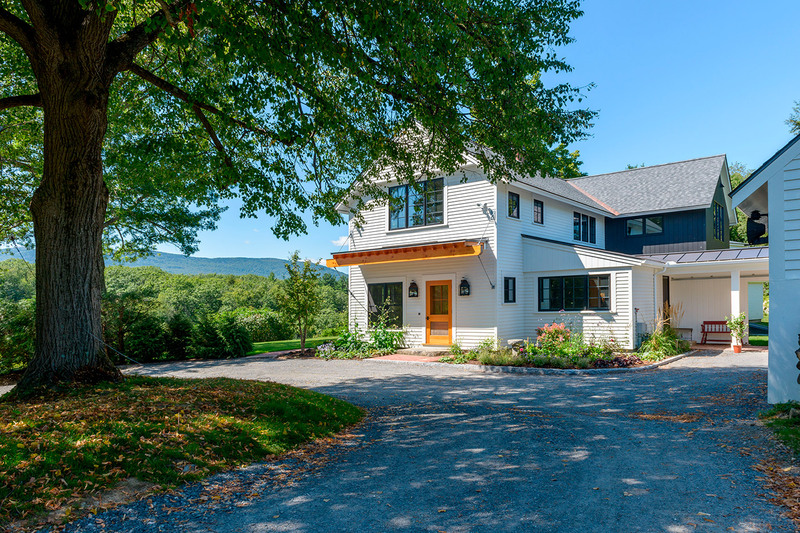 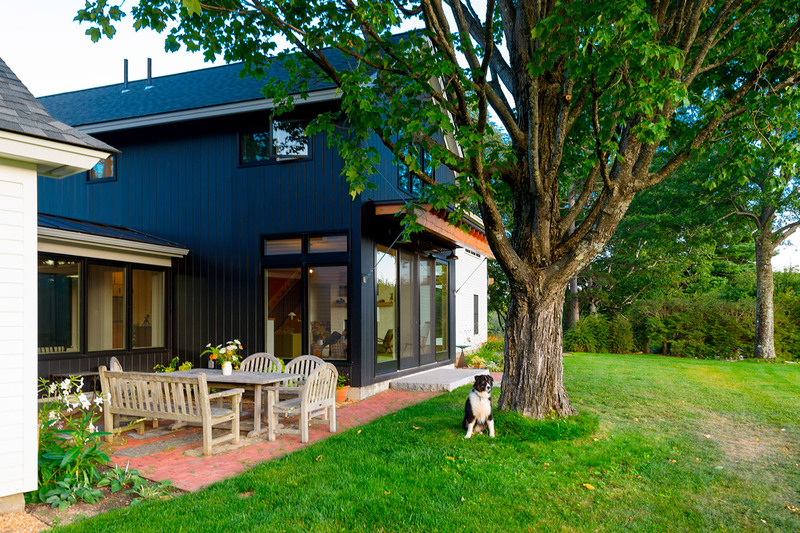 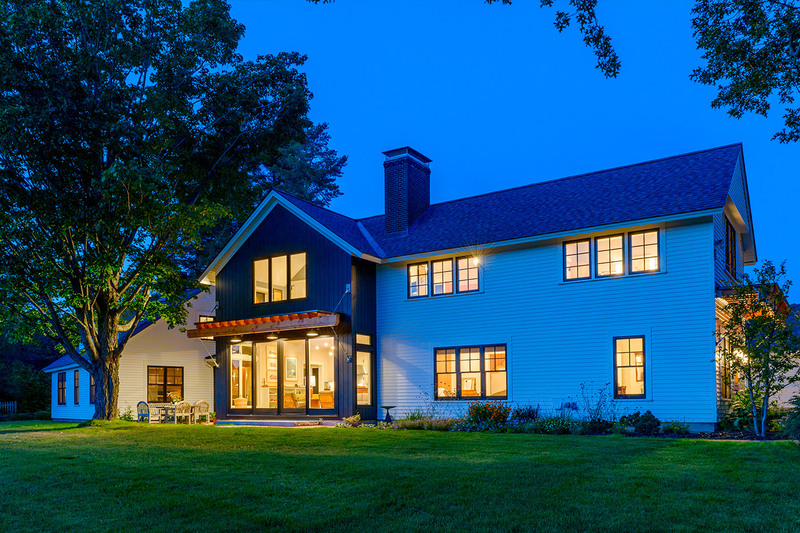 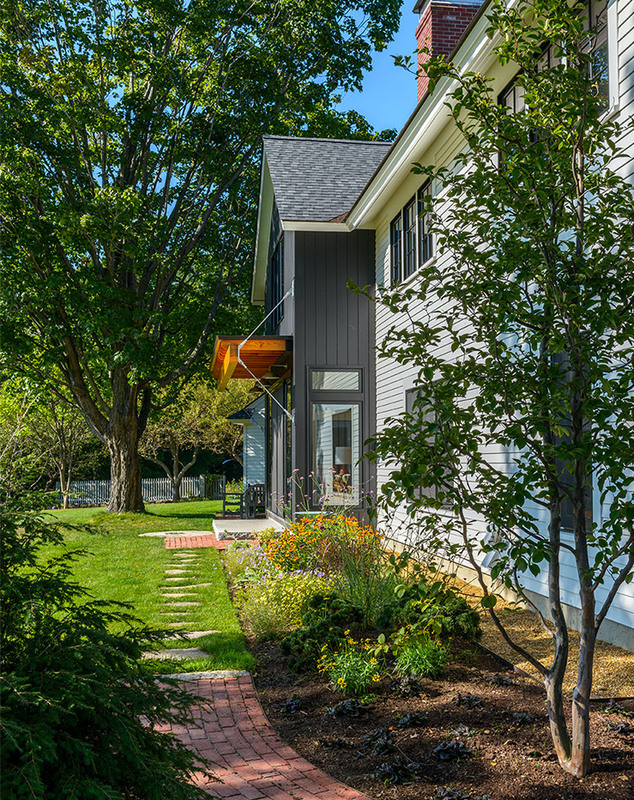 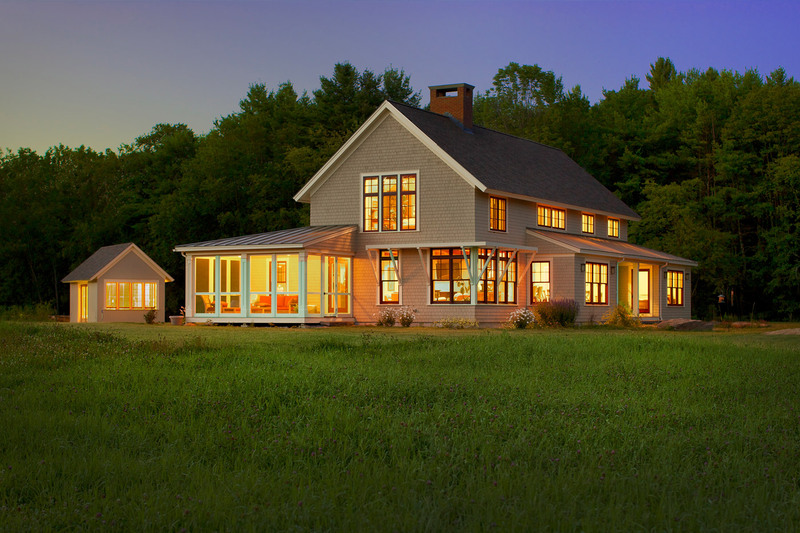 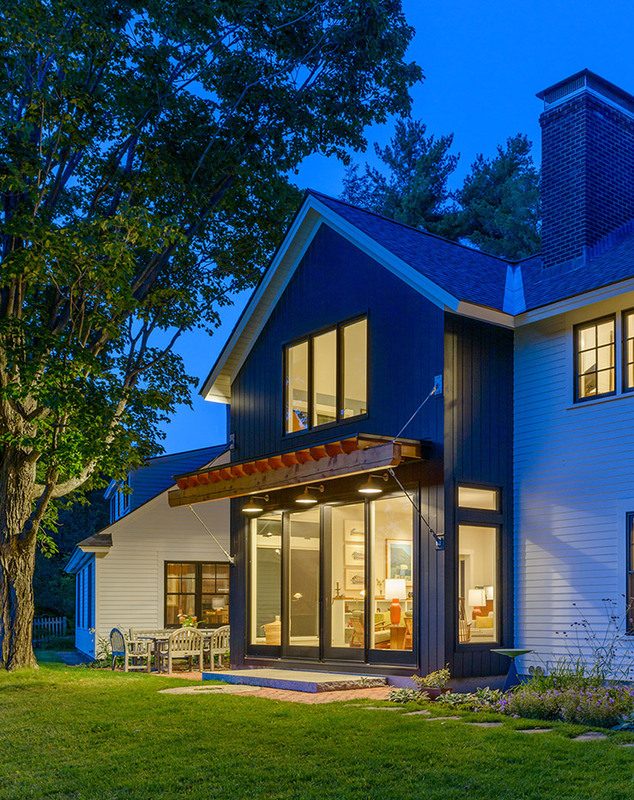 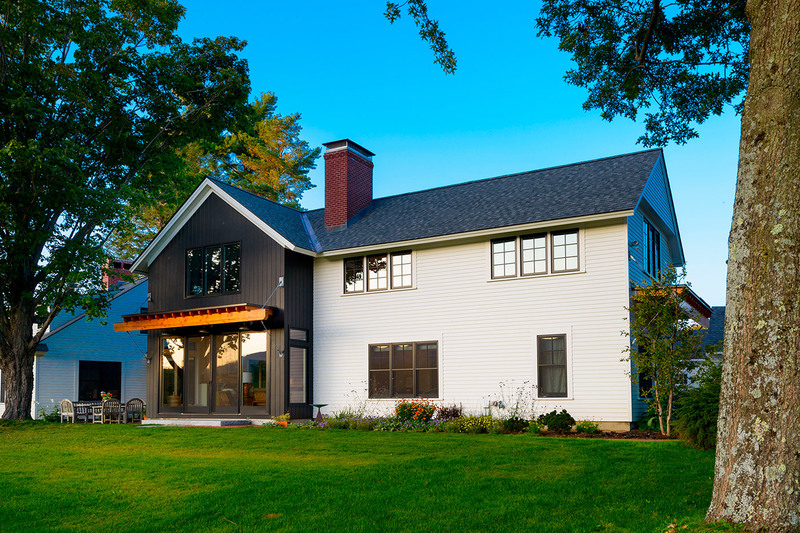 The new addition maintained the simple farmhouse aesthetics with a modern interpretation; two sections of the house are linked via a one-story connector providing flow and continuity between the spaces. 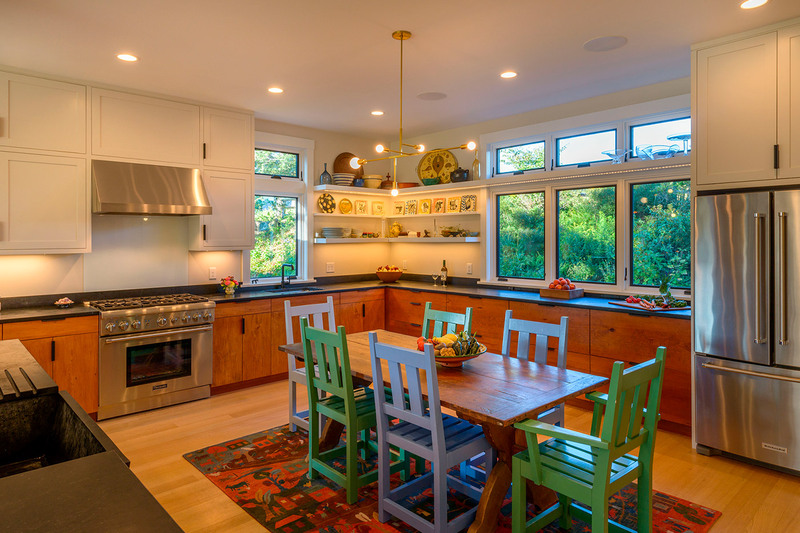 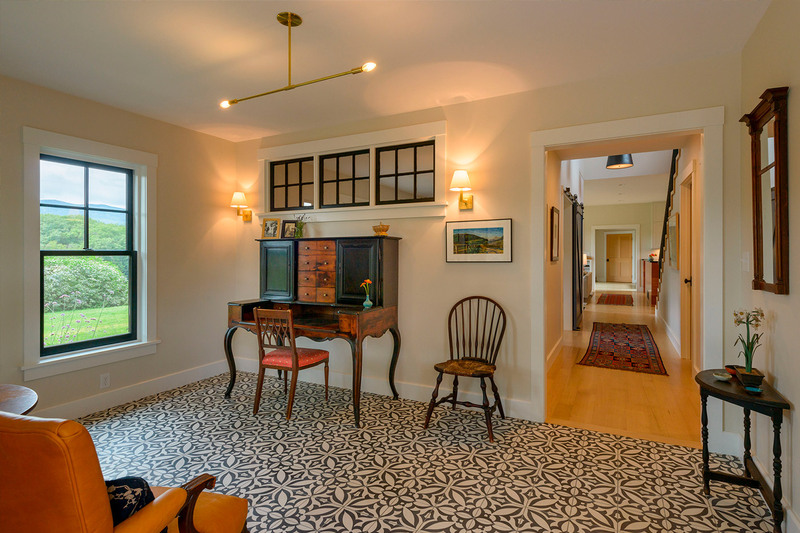 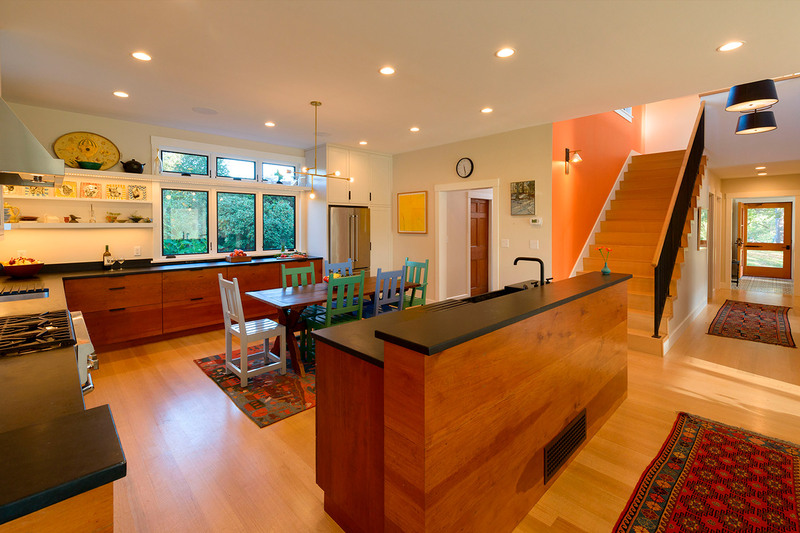 Sections of the original building were demolished, so the clients expressed their desire to reuse as much of the old material as possible; we chose to fabricate the kitchen cabinets from the old wide plank flooring. 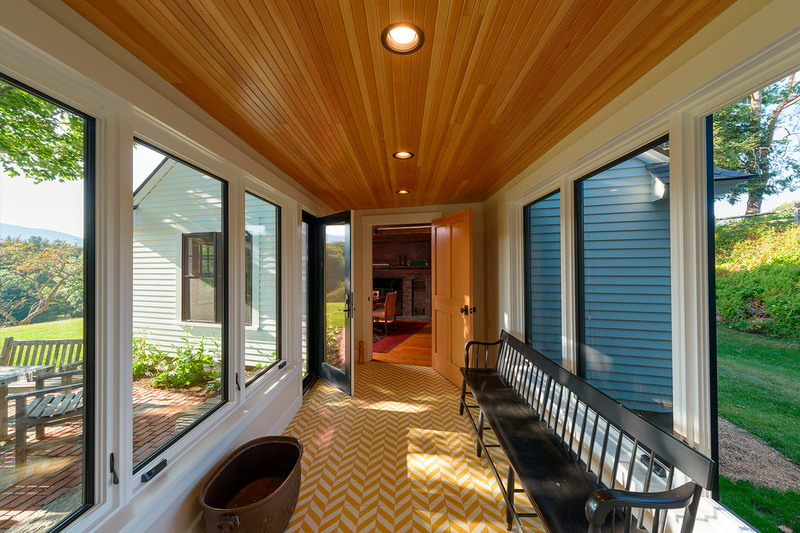 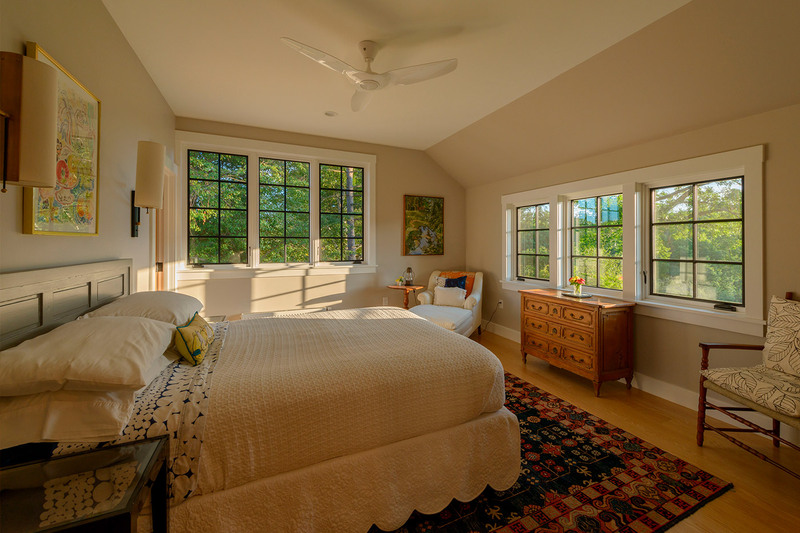 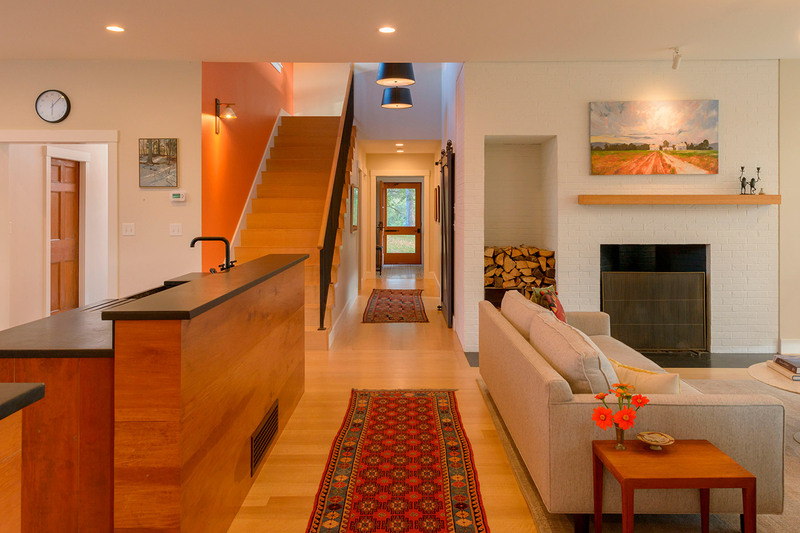 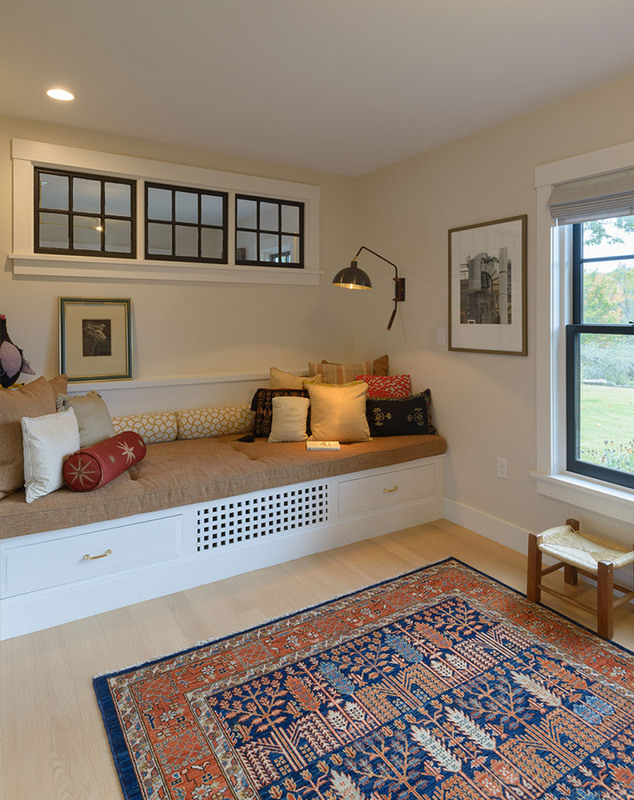 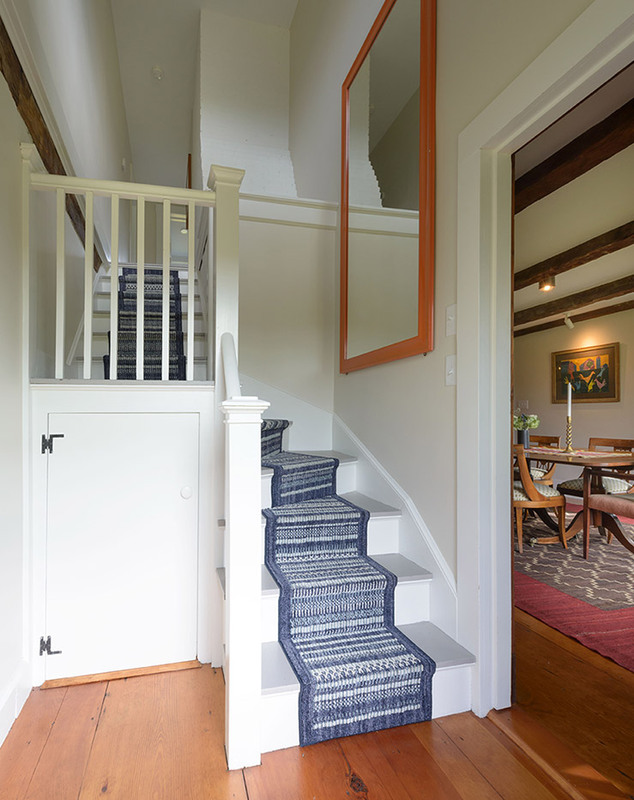 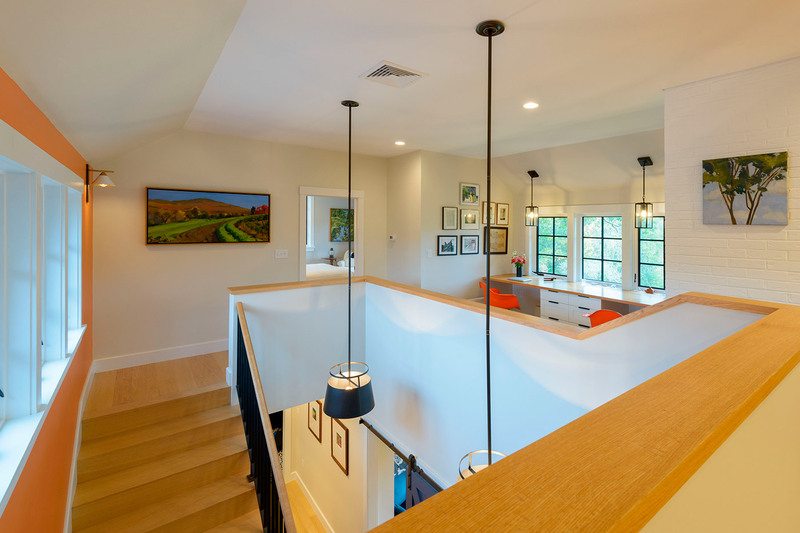 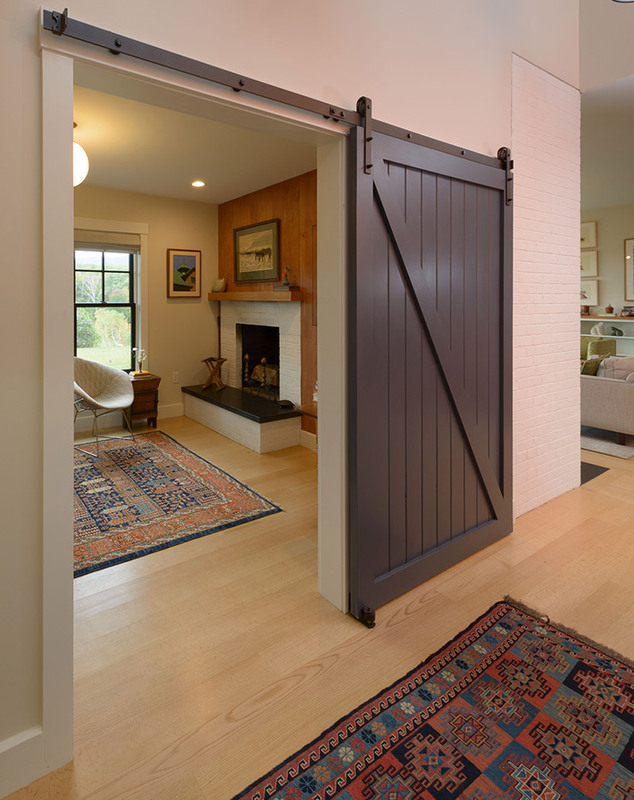 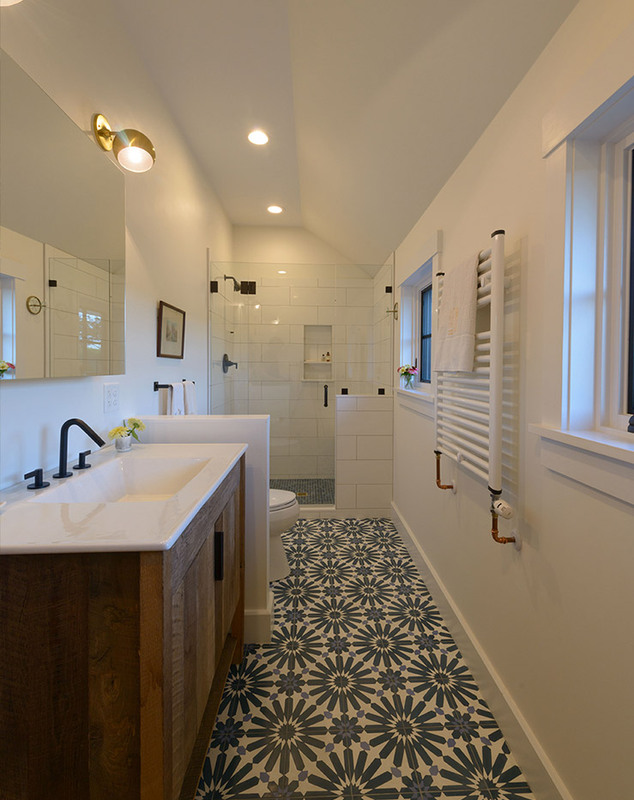 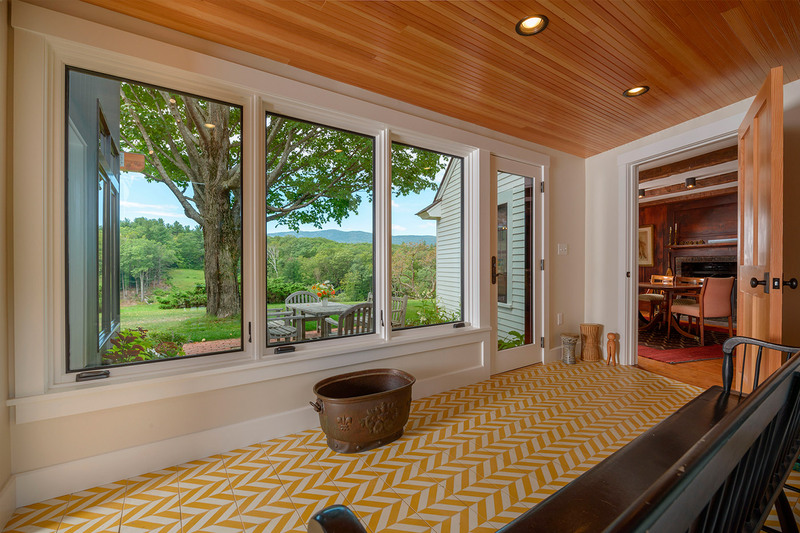 Other recycled items include wainscoting, a window seat, an exterior sliding barn door, and much of the interior wooden doors and hardware; all the oak wood floors were harvested directly from the property. 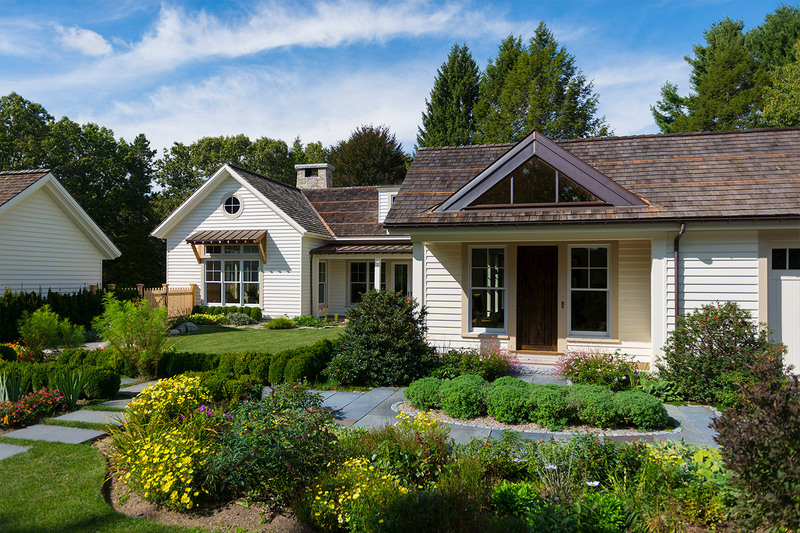 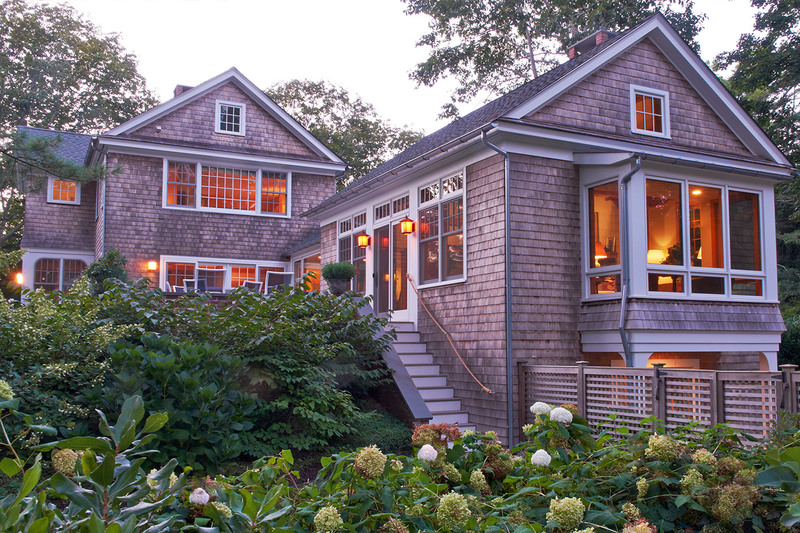 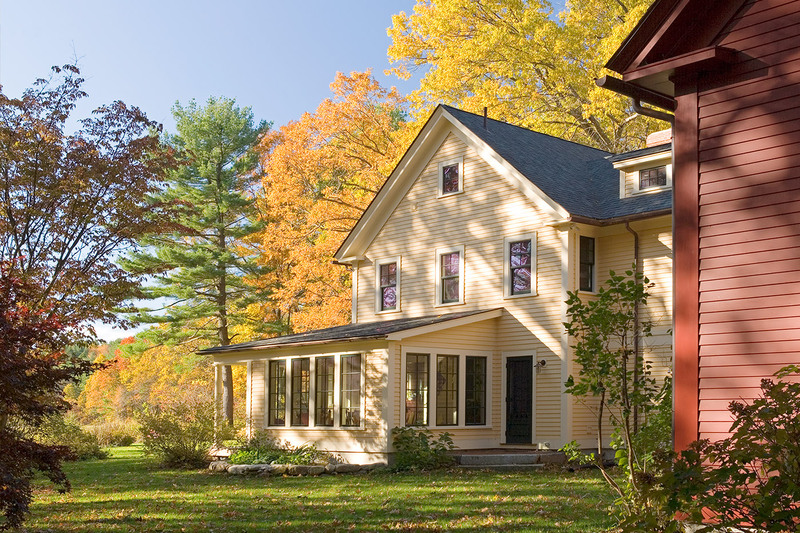 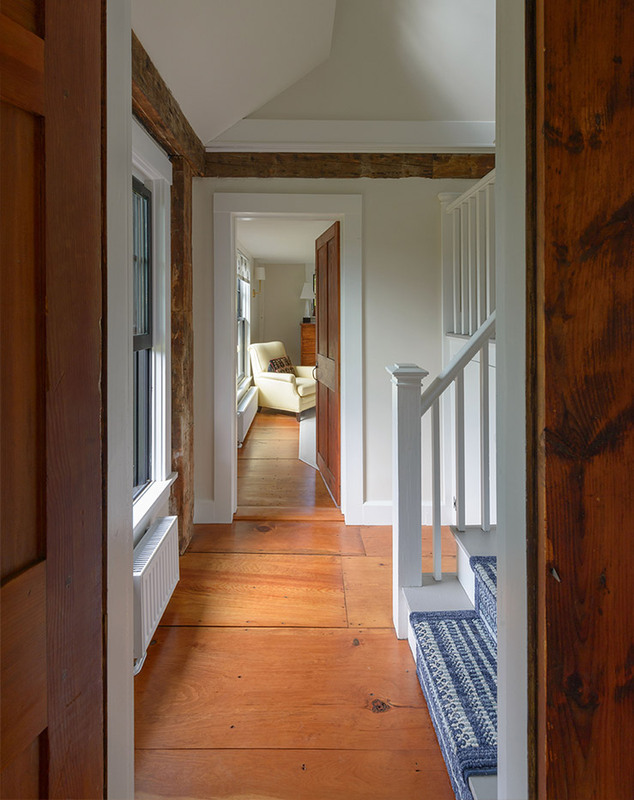 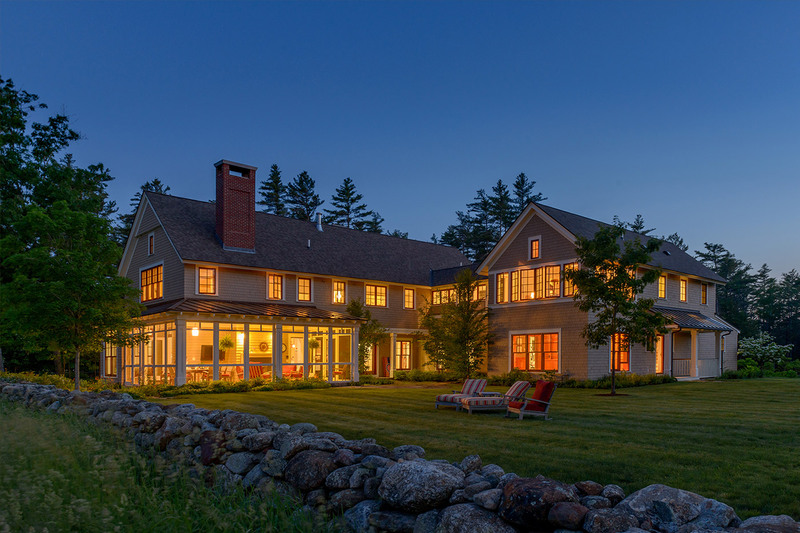 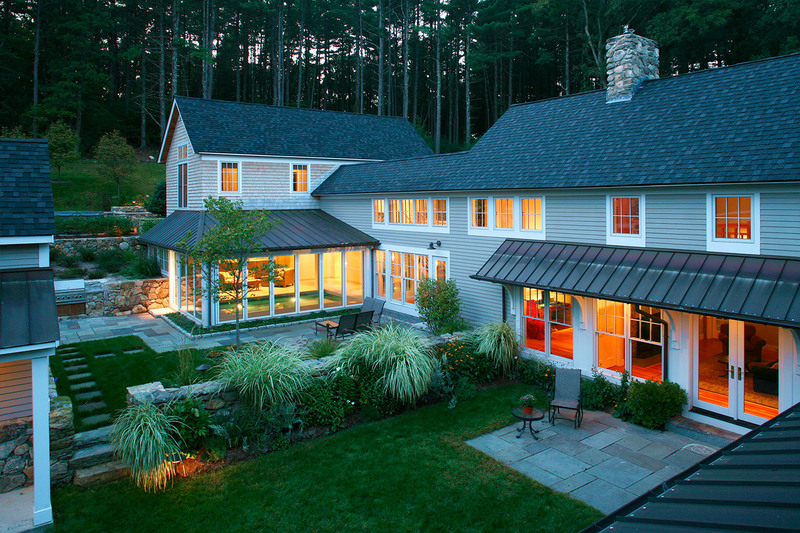 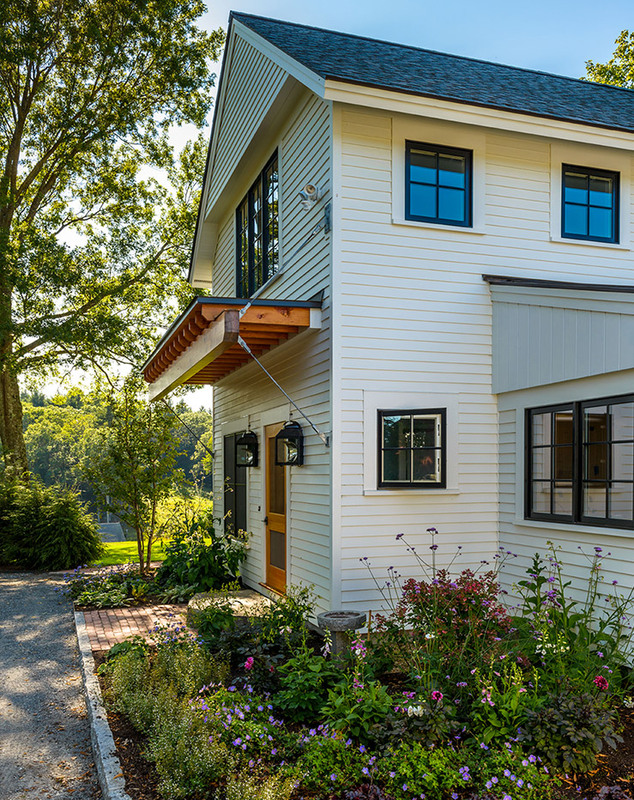 Our focus of this project, as well as the client’s, was to preserve a 19th century structure, while creating an addition that will remain an integral part of the family for many years.